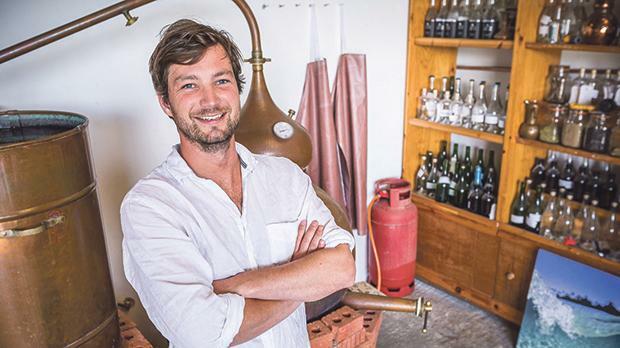 Tarquin Leadbetter, chief distiller and founder of the Cornish Southwestern Distillery in Wadebridge. The sommelier recommended an aged Colombian. Or maybe a nice Kiwi or tasty Belgian. Or, on further thought, perhaps an Elephant. He reconsidered. And then offered me a Van Gogh. And, finally, Three Parrots. My first thoughts were on a Gordon’s, a Hendrick’s or a Bombay Sapphire. But, although wise reliable choices, they seemed very conservative, a little conventional and unadventurous. Square, even. Especially, when you are in the presence of one of the UK’s largest collection of gins. The 14th century Old Manor country house hotel in Castle Combe, famous as the Wiltshire seat of the inspiration for Shakespear’e braggart coward Lord Falstaff (“the old lad of the castle”), boasts one of the most extensive and eclectic gin lists in the country. For many years it claimed the most. 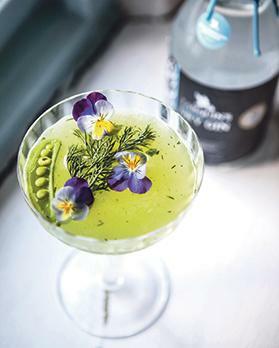 But the increasingly faddish popularity of gin has made gin-upmanship fiercely competitive. The Manor House’s collection is now 170. Just behind The Feathers’ at the entrance gates to Blenheim Palace, Oxfordshire. His lips thinned. “Bristol Bay”. “Of course. Red Hills. From Bologna.” I bit into my lemon. And took my medicine. There was a lot of talk about maturation, D-infusing, pot stills, Coffey stills, column stills and botanical basket cases. There has been a huge revival in gin in the UK. Forty-seven million bottles were sold in 2017. Atisanal gins are big business. Demand for high quality organic gin is high. Scotland boasts the UK’s most northerly mainland distillery, Rock Rose at Dunnet Bay on the cliffs of Caithness. Orkney has Kirkjuvagar. St Andrews has Eden Mill and Glasgow, Makar. 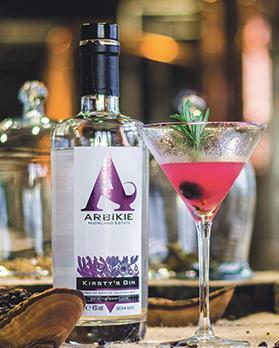 In Arbroath, Kirsty Bell produces Arbikie Kirsty’s, using kelp, blaeberry and thistle. Colonsay produces Wild Island. Sea lettuce is used in Jura’s Lussa. Lynne and Steve Duthie make their Esker Gin with birch tree sap. Kevin and Lorien Cameron-Ross produce hand-crafted Loch Ness Gin. Wales has the Savage-Onstwedder family’s Da Mhile, which makes seaweed gin at the Glynhynod Farm, Ceredigion. Brecon Gin is made at the Penderyn whisky distillery, blending a cosmopolitan mix of Sri Lankan licorice, Madagascan cinnamon, Indian nutmeg, Spanish orange peel, Chinese cassia bark, Italian orris root and Macedonian juniper. 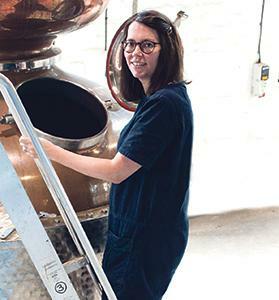 Conker Gin is produced by former chartered surveyor Rupert Holloway in an old laundry in Dorset. 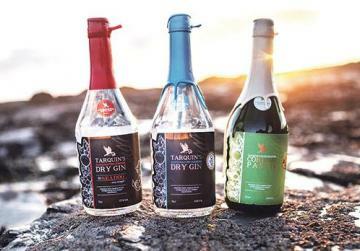 Cornwall has Tarquin’s made at the Southwestern Distillery in Wadebridge. Ingredients include Guatemalan cardamom, Bulgarian coriander seeds, Kosovo juniper and hand-picked local violets. The distillery also make Cornish Pastis. Sea pink flowers, hibiscus petals, baobob leaves, Chinese licorice, cardamom pods, pine shoots, cloves, angelica, cassia bark, nutmeg, wormwood, frankincense and Devil’s claw tripped off his tongue from his educated palate. “One of the best distilleries in France is in Dunkirk. They make Citadelle,” said food and beverage manager Vivek Salgaonkar, originally from Mumbai. He helps curate the collection. “Gin’s a very colonial drink of course. Menorca’s Xoriguer is old, going back to the 18th century. “France makes good gin. G’vine is produced in cognac. Camus also produces Josephine. Germany and Spain are also well represented on our list. The German Elephant gives a percentage of its sales to African elephant foundations. Of course, we have a lot of Dutch gins. In 1559, Dr Sylvius allegedly came up with gin while experimenting to find a cure for stomach cramps. Soldiers drank Dutch Courage. Charles 1 granted a charter to the Worshipful Company of Distillers in 1638. The Gin Act of 1736 caused public riots. Many homes had their stills. Some concoctions flavoured fortified by turpentine and sulphuric acid. In Arbroath, Kirsty Bell produces Arbikie Kirsty’s (top), using kelp, blaeberry and thistle. Hot gin was served at the Frost Fair when the Thames froze over in 1716. By 1730, 10 million gallons were produced every year and served in over 700 dram shops in London. Better refined gin became popular in the cocktail era and the early days of the Cunard cruise line. The ‘gin rickey’ was a voguish cocktail. The list currently includes only one New Zealand gin, Lighthouse. The Manor House is waiting for additions from Australia and South Africa. The global ginscape is wide. The Philippines consumes the most gin per capita. Panama makes Hermanos. Uganda produces Waragi and India Blue Riband Premium. Venezuela has Wellington Dry. In Japan, Suntory produces Finsbury Platinum and Gin Mare, while Poland markets Posejdon. Most of the Manor House collection is English. Beefeater goes back to 1820. Gilbey’s to 1857. Only 12 people know the exact ingredients that go into Gordon’s. Only seven Greenall’s. 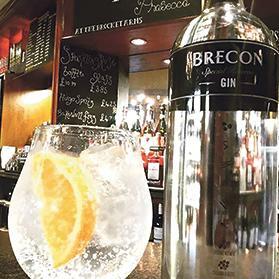 Brecon Gin is made at the Penderyn whisky distillery, blending a cosmopolitan mix of Sri Lankan licorice, Madagascan cinnamon, Indian nutmeg, Spanish orange peel, Chinese cassia bark, Italian orris root and Macedonian juniper. 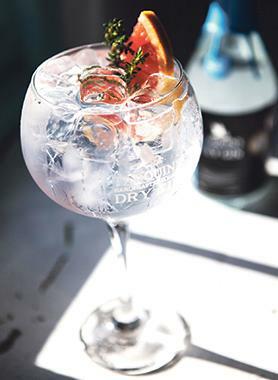 As well as Butler’s, Old English Hammer, Hayman’s 1850 and Boodles (Sir Winston Churchill’s favourite), there are more modern artisanal gins to try like Sipsmith’s Sloe, Boxer’s, Blackdown Sussex, the Lakelands’ Langton’s, Herefordshire’s William Chase, Hoxton, Martin Miller’s, Worship Street Whistling Shop and Portobello Street, home of London’s Gin Institute”. There is also a Portobello Road brand. So far there is no gin called ‘Mother’s Ruin’. “Are you ready for ‘Death’s Door’?” asked Peter. He opened a bottle of Wannborga O and poured out two fingers over ice before adding Fever-Tree tonic, named after the quinine trees of East Congo. We swizzled to taste. Together, like connoisseurs, we savoured the unmistakeable but subdued Scandinavian limestone bedrock and felt over our tongue the ‘never-resting winds’ of the Baltic. All in a mouthful. Or few. Over our rather floral nosing notes.